Oh, sorry, we weren't yelling at you. We're yelling at our ice cream maker because it isn't working quite right, and our blood sugar is getting low so we're a bit snippy. But hey, since we have your attention, you should check out this sweet Police Badge Wallet to go with your cop costume. There are a lot of accessories that can go with a good police costume, but a badge like this is an absolute must. The plastic silver badge looks like one a real officer of the law might carry. The badge comes attached to a black, fully functional wallet, so you can stash some cash next to your badge, in case you need buy a snack, or bribe any informants. This concealable accessory also adds some cool detail to a detective or undercover cop costume. 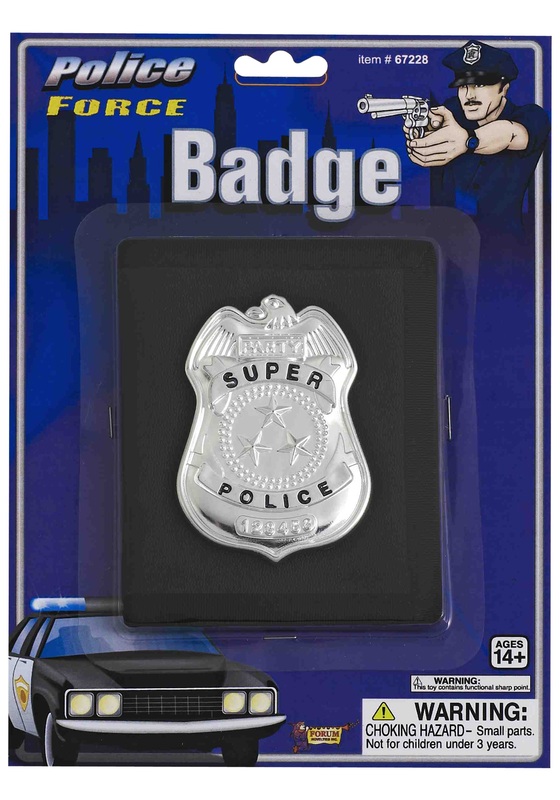 We recommend not trying to pass it off as a real badge though, since we're pretty real cops don't recognize "Super Police" in their jurisdictions.